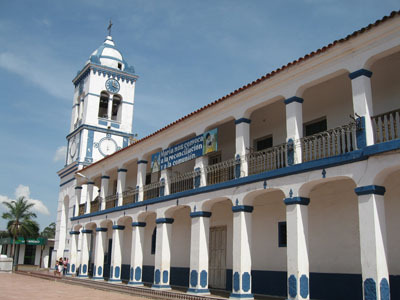 The small picturesque town of Cotoca is located just twenty kilometers to the east of Santa Cruz de la Sierra. 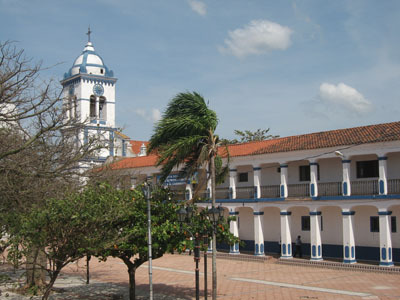 Cotoca occupies a special place in the hearts of the “Cruceños” (the people of Santa Cruz) because it is the home of the Virgen of Cotoca, the patron saint of the state of Santa Cruz. In 2003, Cotoca was declared a Religious and Cultural Patrimony site of Bolivia. Aside from the prominent church, one of the main attractions of Cotoca is its well known hand-made clay artwork crafted by local women. Another interesting spot to visit is the local market which aside from being a very typical rural Bolivian marketplace, hosts a range of culinary specialties from western Bolivia. If you are interested in a guided visit of this place or the region, please visit our tours page, or please contact us by using our contact form.